That ghost lifestyle seems pretty tough. You have to get up at all hours of the night, jangling chains and moaning until someone decides to wake up. And after that, they decide to tell themselves that it was all a bad dream! Then there are the places you have to hang out. Ghosts never get to lounge at the beach or head out for ice cream instead they're stuck creaking around in attics and floating through graveyards on foggy nights. No matter how much you like the spooky side of life, that kind of atmosphere has got to get old. There's only one thing that could make that afterlife style bearable, having a good doggo by your side while you haunt! In fact, we're certain Zero's companionship is why Jack Skellington is always in such a good mood. 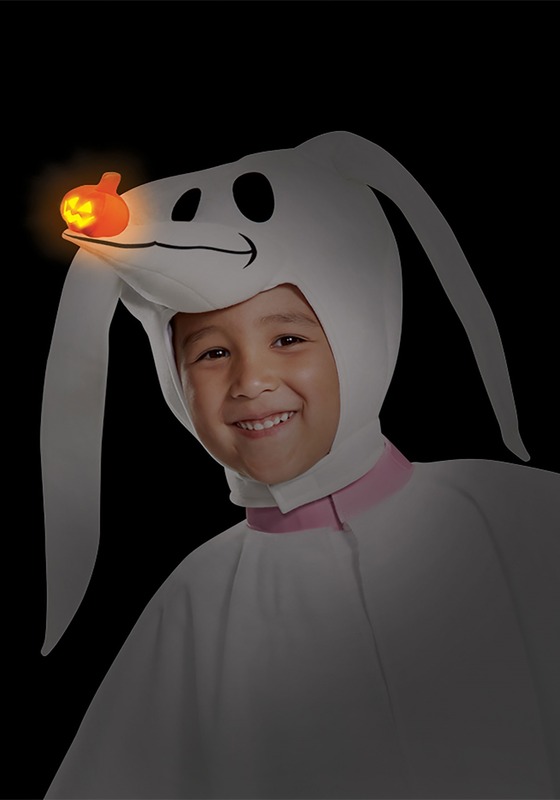 This licensed Nightmare Before Christmas Zero costume is a great twist on the classic ghost costume! The white tunic is pretty simple while the head secures under the chin with a hook and eye touch strip. Zero's face is detailed with big, black eyes and a three-dimensional glowing pumpkin nose. 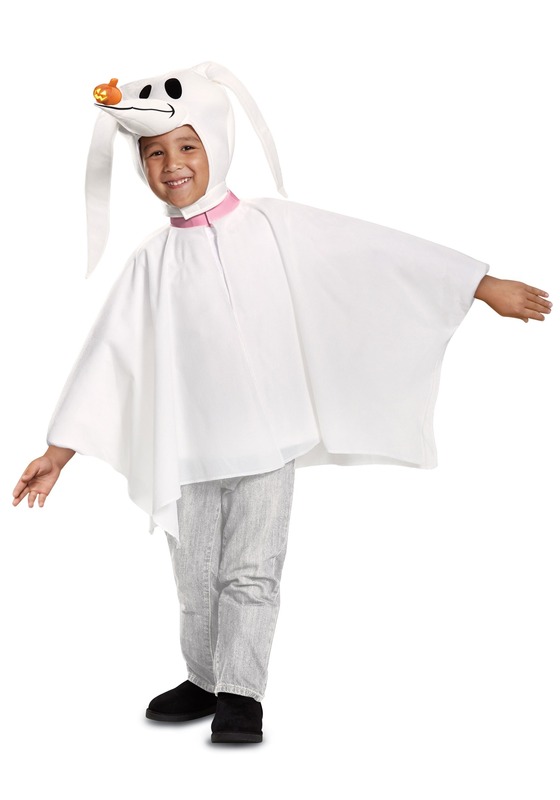 The hood is topped off with big ears that will flop in the wind as your kid celebrates Halloween night. It's been a while since Tim Burton's Nightmare Before Christmas changed both Halloween and Christmas forever and still, we can't get enough. If you want to have the ultimate Nightmare Before Christmas group costume, it's easier than ever! Not only do we have awesome Jack and Sally costumes in all sorts of styles but you can also pick out costumes for Locke, Shock, Barrel, and their Boogeyman ringleader. Want to really shake things up? Throw Santy Claws into the mix! Now that would be an interesting party of people!